To celebrate the holiday, our Hawthorn English students went to Chinatown. They had a fun time checking out the shops and food. As they enjoyed their day, they collected information for an English assignment. How are you? I’m fine, thank you. Last Friday on September 9th, my classmates and I went on an excursion to Chinatown. I want to tell you what we saw and did there. First, we went shopping. This is a picture of a shopping street in Chinatown. There are many people and tourists. I bought a souvenir. I was with my classmates at half past eleven when we went to this interesting street. At noon, I had lunch with my classmates. After so much walking, we were very hungry. We entered a Chinese restaurant and there were so many types of food to choose from. Some were quite expensive. I ordered some chicken satay to eat, and it was very delicious. It was my first time eating it. It was chicken meat on satay sticks cooked over a fire. 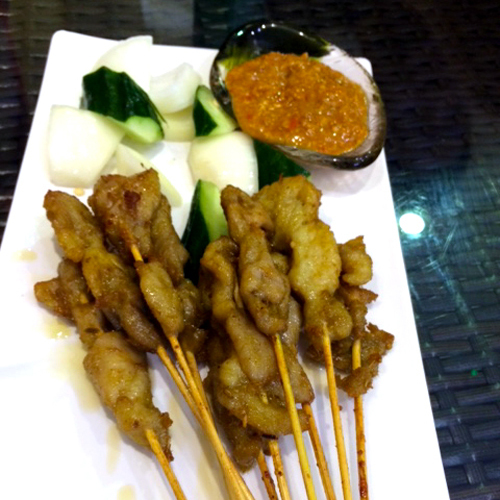 The satay also had a wonderful peanut sauce accompanied with onions and cucumbers. On the other hand, my classmates ate spicy tofu. After eating, we were so full! 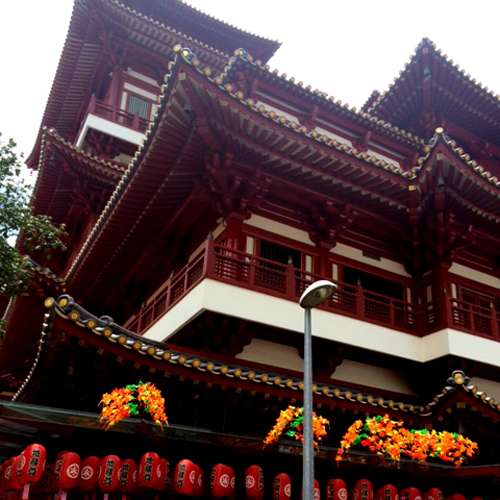 Next, we visited the Buddha Tooth Relic Temple. It was very big and clean. I liked the rows of hanging lanterns. They were very colourful. I had a wonderful time in Chinatown. Where will we be going for the next excursion? I cannot wait!